The role of mining in over 180 national economies worldwide has a substantial impact on the global economy. Many of these national economies are in low- and middle-income countries. Numerous industrial sectors increasingly depend on supply of commodities from underground for metals and minerals. However, their use and the traditional extraction processes affect the environment and people living in the concerned areas. 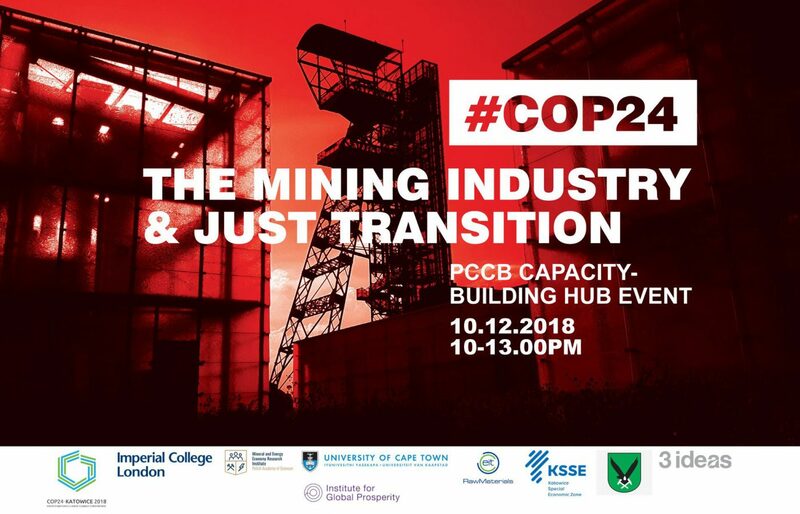 This project aims to explore the Just Transition of mining communities to low carbon economies. Mining towns face a diverse range of challenges ranging from setting up mining operations, creating neighbourhoods for the mining community, enjoying periods of prosperity, closing of the mines, to facilitating new jobs for the local community afterwards. EIT RawMaterials will be represented by Dr Karen Hanghøj, CEO and Managing Director of EIT RawMaterials, at the Mining Industry and Just Transition session. The objective of the project to be presented during this session is to explore opportunities behind the sustainable transformation of mining cities. Best practice, scalable solutions that could be implemented locally as well as globally whilst fostering North-South collaboration will be described. The UNFCCC Convention, the Paris Agreement and the Agenda 2030 for Sustainable Development call for North-South collaboration. It is proposed to carry out an initial socioeconomic and spatial mapping exercise of the urban transformation of cities, in Poland (Jastrzębie Zdrój in the Katowice Special Economic Zone, the Salesian Province) and in South Africa and Zambia. This will help to formulate an understanding of complex processes, in order to see how this transformation is currently taking place and how it may be aided by other sustainable solutions for selected cities. A holistic concept of the principles of the circular economy will be explored with the best options for the long-term socioeconomic transformation needed in mining cities. It is hoped that in a later stage of the project some of these recommendations will be implemented in the participating cities. The resilience of local people will be also studied to understand social aspects of Just Transition and depict important factors of community resilience including local culture. A multidisciplinary team of some of the world’s leading scientists will bring their research & development expertise to offer the best practice solutions. These will be combined with inputs from the local communities, cities and the United Nations representatives.